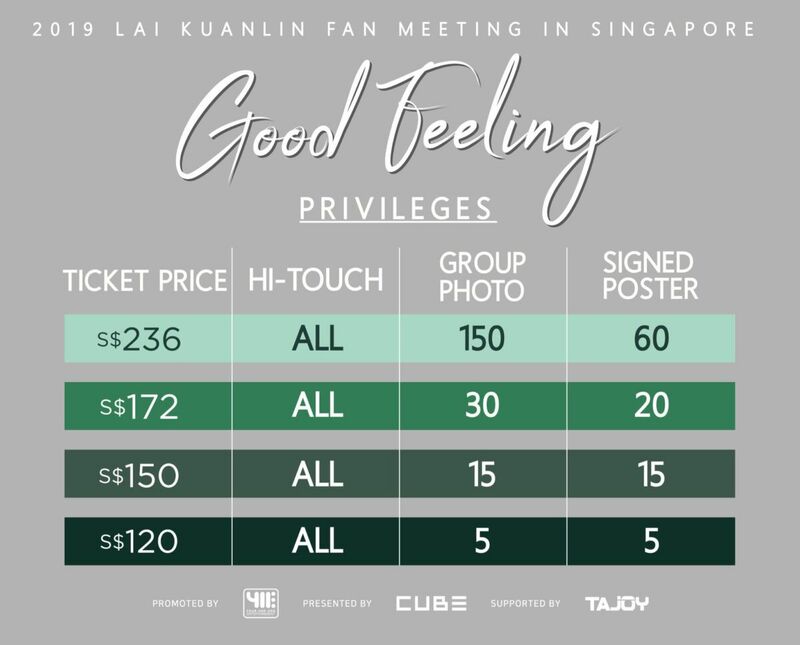 If you had a GOOD FEELING today and you didn’t know why, it’s probably because our very bright chick, Lai Kuan Lin will be having his very own fan-meeting here in SINGAPORE! Lai Kuan Lin is the 6th former member of the group, Wanna One, to announce his solo fan-meeting in Asia. His Asia Tour kicks off in Seoul and includes stops in Bangkok, Singapore, Taipei, and Hong Kong. Lai Kuan Lin has been cast as the main lead for his first-ever upcoming drama, “A Little Called Love” which is slated to release later in 2019. He is also preparing to release a mini album with his unit partner, Woo Seok (PENTAGON), titled ‘9801’. It will be released on March 11th, so stay tuned! With such amazing talents and diverse linguistic skills, be prepared to be entertained by the Gulliver Maknae, Lai Guan Lin! Tickets will go on sale on 30th of March 2019 from 10.00AM via SISTIC! Please visit 411ent’s Official Facebook for more information.